We are pleased to announce that the National Science Teachers Association has chosen "Dream, Invent, Create" to be an NSTA Recommends© book. 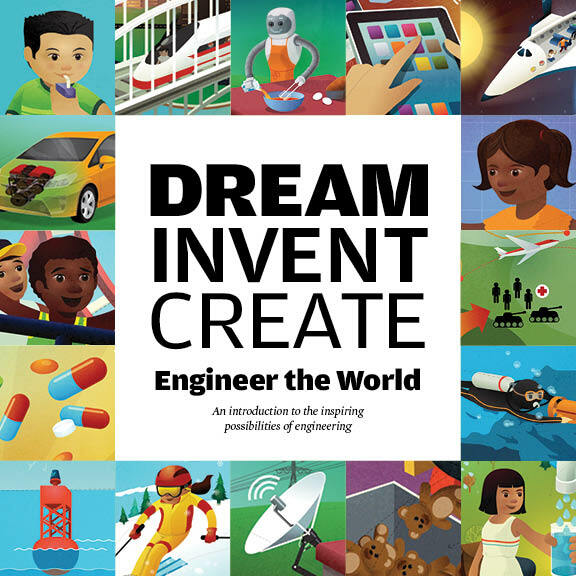 We developed the 40 page, 8" x 8" publication "Dream, Invent, Create" as a way to introduce engineering to kids in elementary school and early middle school. It will help them make a connection between the everyday world and engineering — and excite them about the possibilities. Just $6.95 per copy! 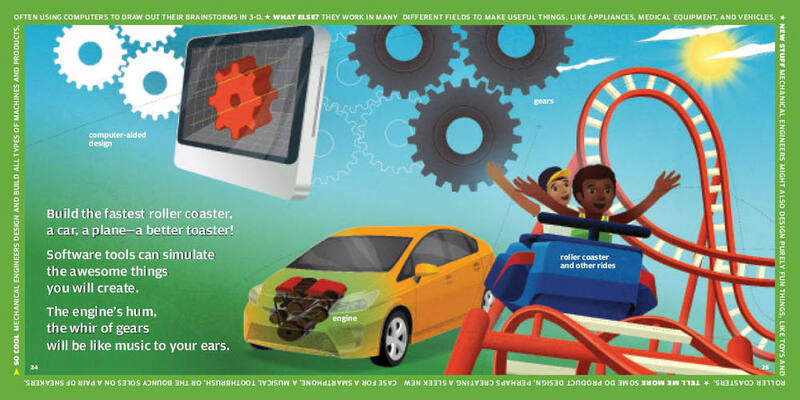 The first 32 pages refer to the many disciplines of engineering, using colorful and whimsical illustrations and fun, engaging poetry and rhymes. Kids will learn that engineers create rockets, sky scrapers, video games, robots, sports equipment and much more. They will see that engineering is all around us, and that engineers make the world a better place. Fun facts about each type of engineering discipline wrap around the borders of the pages, providing more information for more advanced readers. 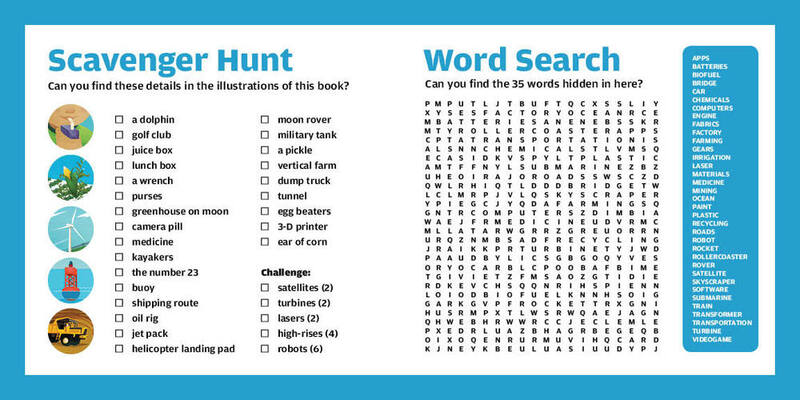 Following these pages are three interactive pages: A scavenger hunt to find items in the illustrations of the book, a word search puzzle, and a crossword puzzle. Each interactive page is incrementally harder, providing a challenge for kids ages seven through eleven. In addition, there's a page called "Think About It" with many thought-provoking questions to spark discussions about the role of engineering in our lives. Two creative writing assignments are also included. Educators could use this page in the classroom or as a part of after-school activities. The book ends with a simple, hands-on engineering activity (using common kitchen products) that anyone can take part in! Take a look at our video below, and click through a few of the pages, beneath. To use Dream, Invent, Create in your classroom, check out our Teacher's Guide! NOW AVAILABLE! A Bilingual Edition of "Dream, Invent, Create"! And a Teacher's Guide!